Petstablished | Manage your Animal Welfare Organization (AWO) with our easy-to-use software. 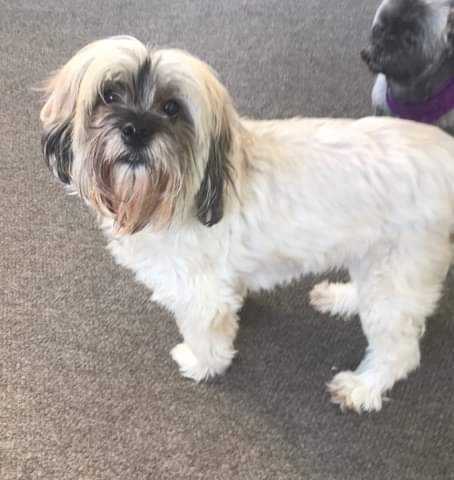 Piper is a 6 year old lhlasa apso that was surrendered when her owners discovered she was diabetic. She had since been to the vet several times to get her dosage regulated and she received 5units 2 times day. She is a sweet girl who is great with other dogs and respectful children. She would love to find her forever home. The adoption fee is $200 which includes their age appropriate vaccinations(DA2PP and Bordetella), Dewormer, spay/neuter, microchip, heartworm test as well as the registration of their microchip information to you. The first step to adopting is to fill out an application for adoption. Once approved we will arrange a time for you to meet the animal you are interested in. If it is a match the adoption can then be completed and you can take home your new furry family member. If it is not a match we will file your approved application and you can wait till you find the perfect match.